Guest Post: How Do You Make A Mom’s Life Easier? Digitize the Post-it Note! What in the world are you going to do with all those Post-it Notes? How about ripping them off of the cabinet, the family calendar and off of your car’s steering wheel and organize them like a good mom should! LOL. Seriously, I took a vote on my FB and G+ pages and found that moms are using Post-it Notes all in the same way. Moms are a team, a tribe, a culture who depend on the ever-so powerful Post-it Note to help organize our busy lives — I hear you all cheering me on, I really do! The Evernote app lets you easily collect and find everything that matters! 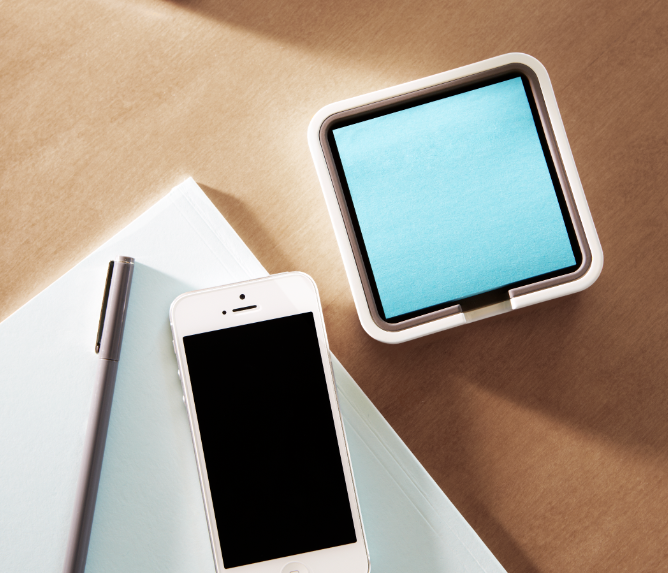 And the adoring Post-it Note is now Evernote’s new best friend. To keep our lives in good shape, we moms need to remember everything and work more effectively.It’s time to let your smart phone marry the Post-it Note. Have no fear! You’ll still be able to jot your notes down and organize your family’s world with all those pretty notes, they’d never take that task from you girl! But now you can photograph all your colorful themed Post-it Notes and file them in the Evernote app. So simple! So Innovative! Here is how it works… Evernote has developed the Post-it Note Camera feature exclusively for iOS 7, available on iPhone and iPad. With one tap, any Post-it Note is captured into Evernote, digitally enhanced and saved as a crisp, clear Evernote image. 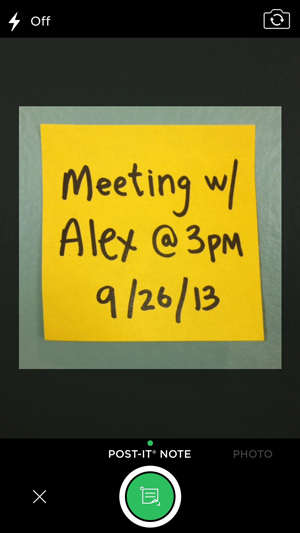 In the app Post-it Notes can be organized by color, have a reminder added or a due date assigned. Whether it’s a to-do list, a reminder, a sketch or a big idea, Evernote makes the Post-it Note searchable, providing users the flexibility of paper and efficiency of technology. The Evernote App is available for free from the App Store on iPhone, iPad and iPod touch or at www.appstore.com/evernote. For more information on the Post-it Brand and Evernote, visit Post-it.com/Evernote. The app, in my opinion is very well designed. It’s simple, clean and very easy to use. It’s pretty intuitive so you can figure it out yourself. I no longer have three Post-it Notes hanging off my purse when I leave the house. They are nicely organized in my phone all in one app and easily accessible. Yes, my kitchen will always have new Post-it Notes reappearing each day – just waiting to be photographed. But hey, that’s what we signed up for right? Motherhood — The ultimate keeper of the calendar. Since technology continues to permeate every aspect of our lives, get the free app and go wild. Isn’t about time you finally remember the things you like, your favorite websites, research better, organize your business or household better and plan your next relaxing trip? And you can do it all with mom’s new little helper. Evernote. Learn more about Post-it Brand and Evernote by visiting your local office supply store or by visiting Postit.com/Evernote , Post-it Brand on Twitter (@postitproducts ) or Facebook (http://facebook.com/postit ). 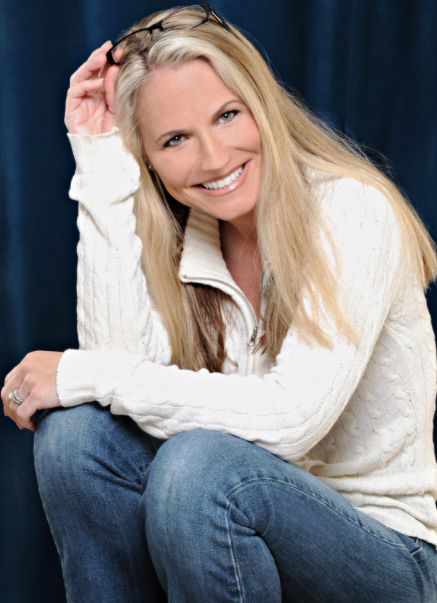 Kimberley Clayton Blaine, MA, MFT, is the executive producer of the online parenting shows www.TheGoToMom.TV and www.MommyToMommy.TV and author of The Go-To Mom’s Parents’ Guide to Emotion Coaching Young Children and The Internet Mommy. When she’s not chasing her kids, she filming them on her iPhone with ptch.com app. Disclosure: The Go-To Mom Productions was compensated for the production of this episode/an or blog post by 3M/Post-it Brand. Kimberley Blaine will only promote, endorse and support companies she believes to have the highest standards in products and/or services that contribute to or enhance the well-being of families.